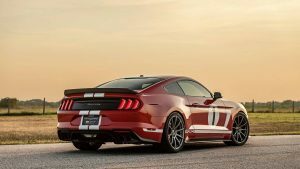 Hennessey Performance starting modifying cars back in 1991 and to celebrate the milestone of tuning their 10,000th car, they have created this Heritage Edition using the GT Heritage Edition as inspiration. 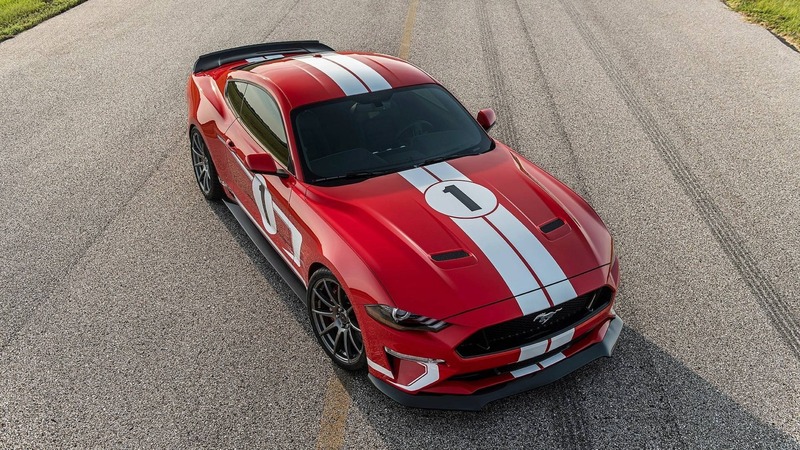 Overall this tuner has been able to deliver more than 6.5 million horsepower based on an average of 650+ hp per each vehicle modified and this example is way about that average output with a monstrous 808 horsepower (602 kW) and a mountain-moving 918 Nm of torque. 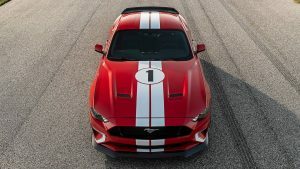 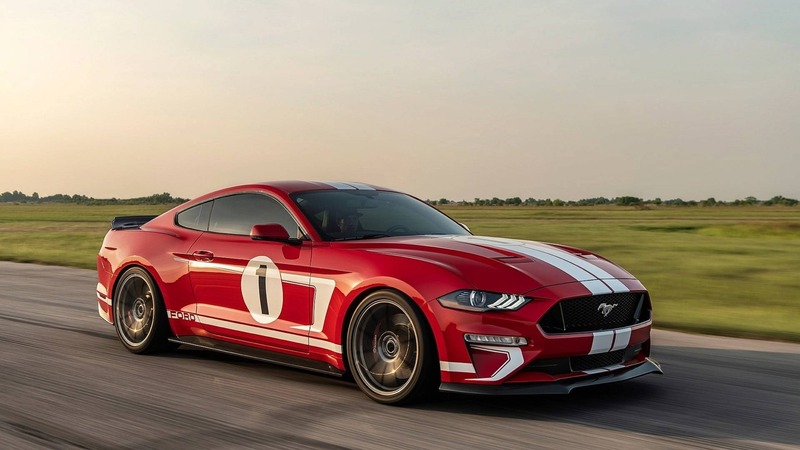 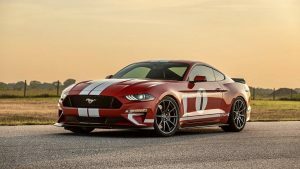 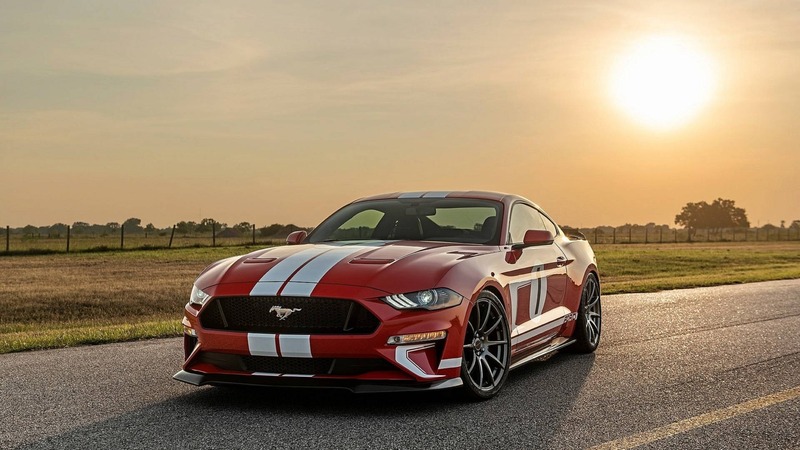 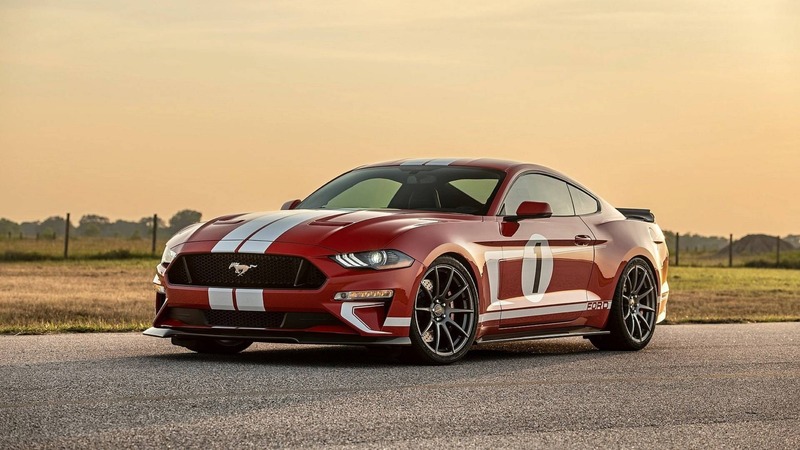 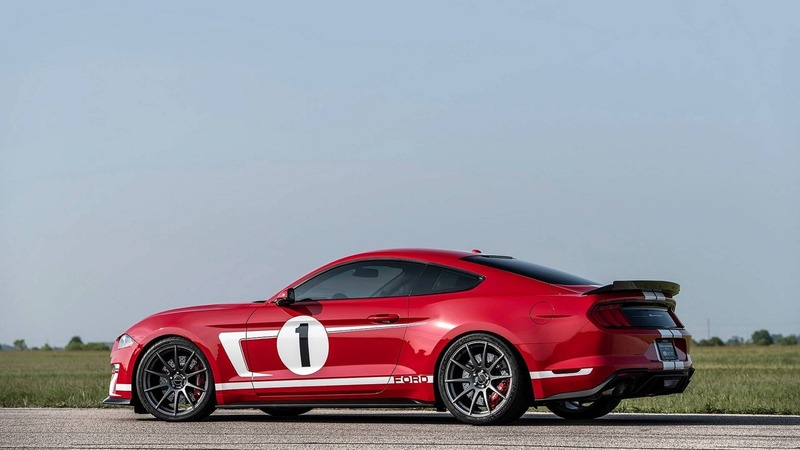 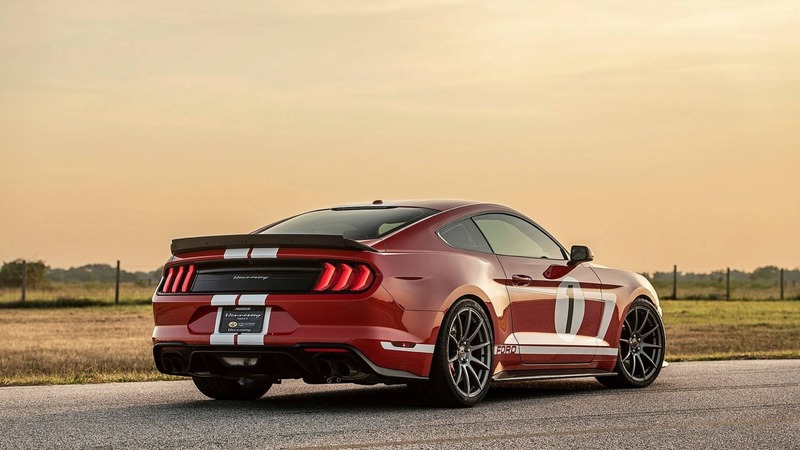 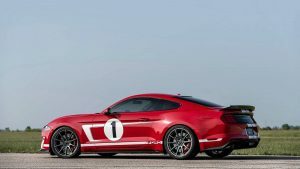 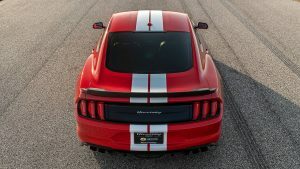 Thanks to the substantial extra grunt, this Mustang can hit 60 mph (96 km/h) in 3.3 seconds and complete the quarter mile in 10.7 seconds at 132 mph (212 km/h). Flat out and this modified Pony will top out at 200 mph (322 km/h). Does the styling look familiar? 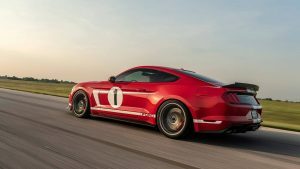 Well it should because Hennessey used the GT Heritage Edition when coming up with the livery and it suits the car to perfection. 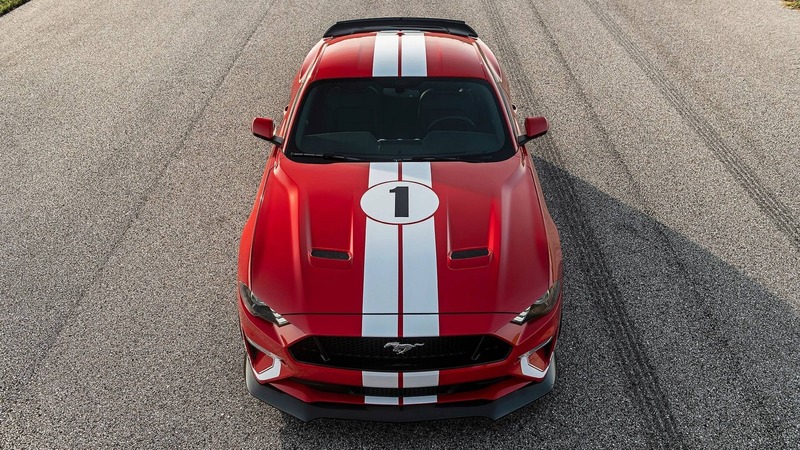 Only 19 of these cars will ever be made with each one getting its own individually numbered dashboard and engine plaques, along with a letter of authenticity, and even a personal letter of gratitude from the man himself, Mr. John Hennessey. 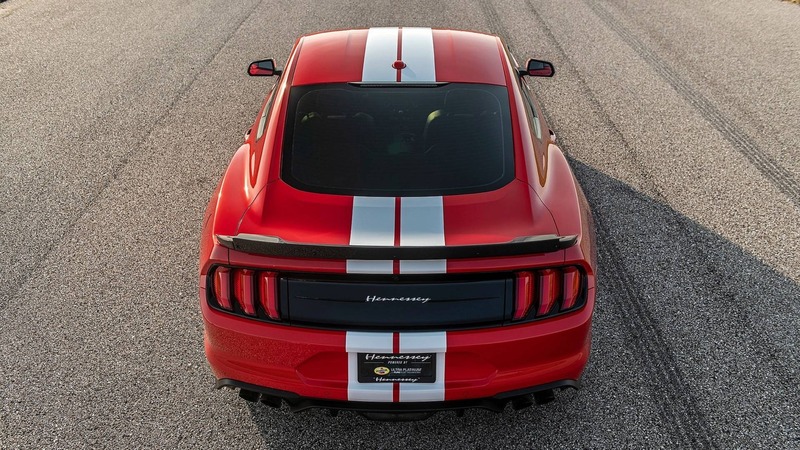 Don’t fret if you do not live in the US of A because this car will be offered all over the world.